Whether you’re on the hunt for a high-quality new vehicle in Escondido or a used model, you’ll want to visit our Mazda lot right away. We have an extensive variety of popular Mazda SUVs and sedans for sale, from the family-friendly Mazda CX-5 to the fan favorite Mazda3. Browse our used car and Mazda inventory online before visiting Mazda of Escondido for a test drive today! Why Buy a Car from Mazda of Escondido? 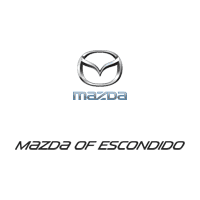 We hope you choose Mazda of Escondido when you’re ready to purchase your next vehicle, and you are always welcome to contact us with any questions you may have.